If your Battery is Draining Quicker, your Device Become Laggy, Freezes All the Time & it Overheats when Running Apps; it’s Time to Take Care of It Before it Turns into a Turtle Phone! Restore your Device’s Health with Fastest Clean for Free NOW!!! – 1 Tap Boost make it easy to optimize directly from your homescreen. – A single touch to speed up your devices and release memory. – Colourful & Friendly User Interface. – Fast, compact and efficient with low memory and CPU usage. – Low Space Needed to Install. – You can add frequently-used apps to your whitelist. – Totally free from Ads and clutter. 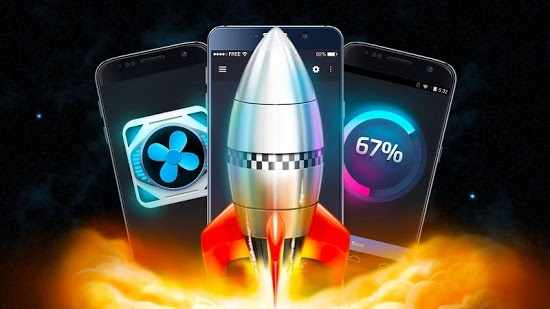 An Innovative Memory Cleaner and Speed Booster for Tablets and All Android Devices is Here! Download NOW for FREE Fastest Clean Limited Time Only!!! Size : 1.9M Requires Android : 4.1 and up Offered By : Handy Ltd.